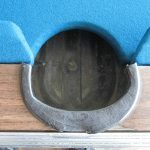 It is very common to when referring to billiard cloth, to use the term “felt” interchangeably.Even professionals in the billiards business use this term. 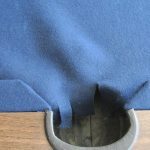 Remember that billiard cloth is much different than craft felt. 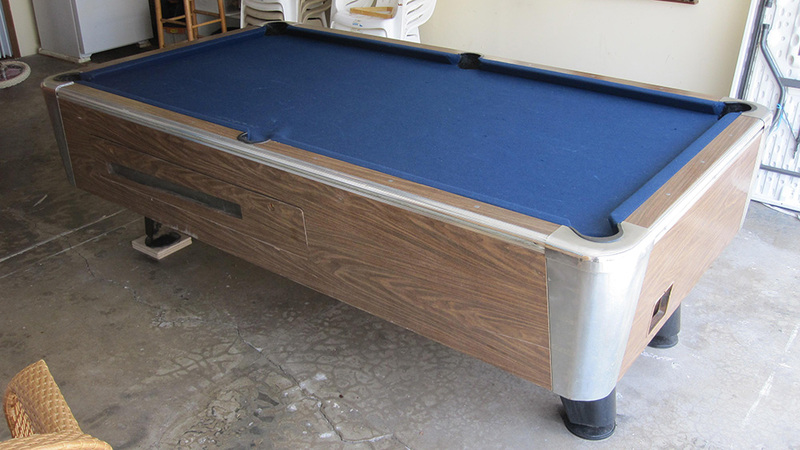 We recently came across this 8′ pool table in Garden Grove, CA that had been re”felt”ed by the owner’s friend. From far away it looks relatively normal, but upon closer inspection you can see major differences. 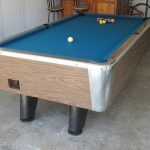 Needing new cloth for his pool table, this owner purchased a few yards of felt from a local craft store. 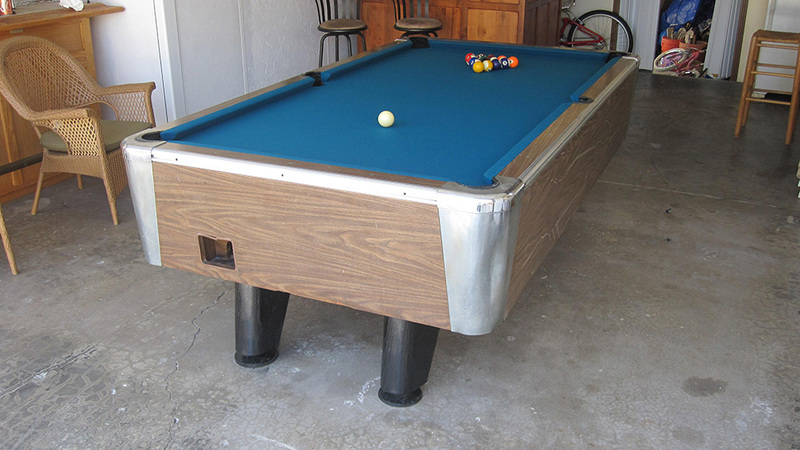 One of the big differences is that billiard cloth is woven from wool and nylon. We almost exclusively use “Mali 10820F” billiard cloth. This cloth is 75% wool and 25% nylon, 21 ounces per linear yard. It stretches beautifully and has very little “nap” (fuzzy stuff). Craft store felt is not woven and can’t be stretched tightly over the slate or rails. If you do manage to put it on your pool table, the balls will roll very slow because craft felt is very thick and “nappy”. 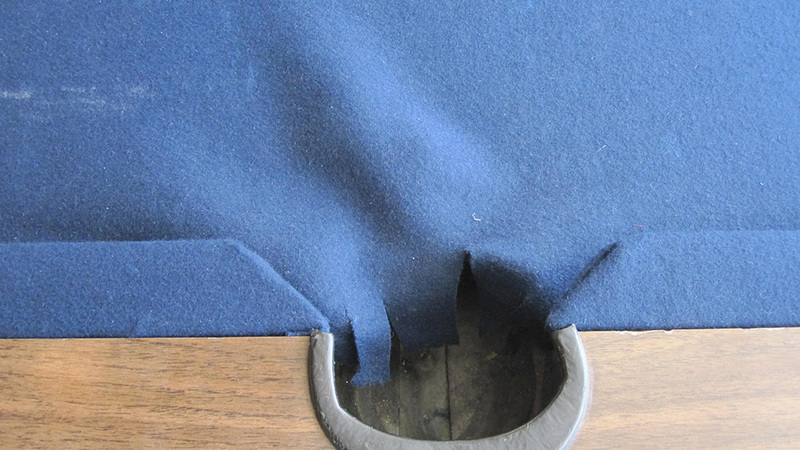 We do sell billiard cloth pre-cut, for those who want to tackle a do-it-yourself “felt job”. 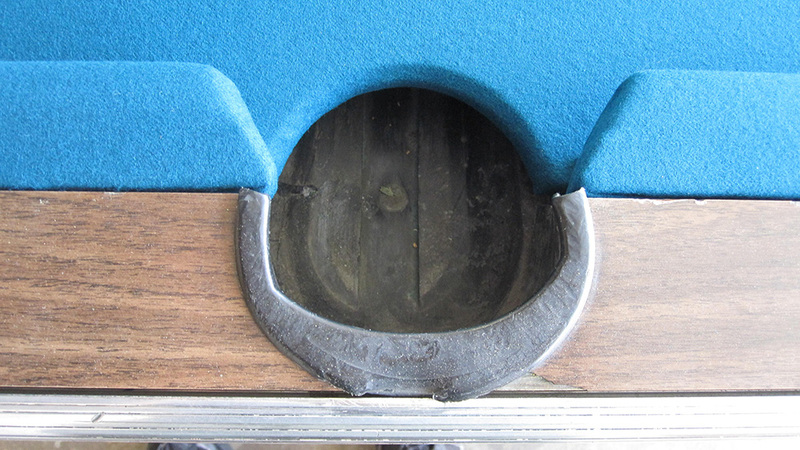 Just remember to measure your pool table between the cushions, see our FAQ section if you are unsure where to measure. Genial dispatch and this enter helped me alot in my college assignement. Thank you seeking your information.